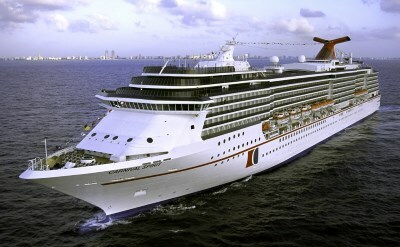 Carnival Cruise Line's Australia cruises depart from Sydney and Melbourne. They go to Tasmania, the Great Barrier Reef, and to nowhere. They have Christmas cruises too. See the schedule below for more information. 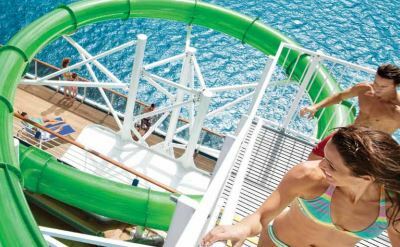 Features of a Carnival cruise include WaterWorks water fun park, SplashZone for kids, two-deck fitness center, Serenity adults-only retreat, Day Spa, four restaurants, nightclubs, bars, and a casino. 3-night Weekend Sampler cruise to Nowhere. Round-trip from Sydney (Australia). • 2019 departure: February 8. 4-night cruise to Queensland. Round-trip from Sydney (Australia) to Moreton Island (Australia). • 2019 departure: February 23. 4-night cruise to Tasmania. Round-trip from Melbourne (Australia) to Hobart (Tasmania). • 2019 departure: February 27. 5-night cruise to Tasmania. Round-trip from Sydney (Australia) to Port Arthur (Tasmania) and Hobart (Tasmania). • 2019 departure: March 7. • 2019 departure: March 14. • 2019 departure: March 22. 17-night cruise from Australia to Hawaii. One-way from Sydney (Australia) to Honolulu (Hawaii). Visit Noumea, Port Denarau, Tahiti, Moorea and Bora Bora. • 2019 departure: April 2. • 2019 departure: April 7. • 2019 departure: May 9. • 2019 departure: June 7. 8-night Great Barrier Reef cruise. Round-trip from Sydney (Australia) to Moreton Island (Australia), Gladstone (Australia), Airlie Beach (Australia) and Willis Island (Australia). • 2019 departure: June 19. • 2019 departure: August 2. • 2019 departure: August 23. • 2019 departure: September 5. 10-night Great Barrier Reef cruise. Round-trip from Sydney (Australia) to Gladstone (Australia), Airlie Beach (Australia), Yorkeys Knob, Port Douglas (Australia) and Willis Island (Australia). • 2019 departure: September 18. • 2019 departure: October 31. • 2019 departure: November 21. 15-night cruise to Australia from Singapore. One-way from Singapore to Sydney (Australia). Visit Bali, Komodo, Darwin, Airlie Beach and Moreton Island. • 2019 departure: December 6. • 2020 departure: January 16. • 2020 departure: February 6. 5-night cruise to Tasmania. Round-trip from Sydney (Australia) to Hobart (Tasmania) and Port Arthur (Tasmania). • 2020 departure: February 18. 5-night cruise to Tasmania. Round-trip from Melbourne (Australia) to Port Arthur (Tasmania) and Hobart (Tasmania). 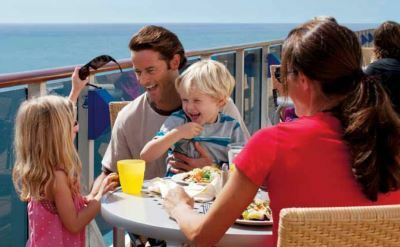 4-night Southern Australia cruise. Round-trip from Melbourne (Australia) to Adelaide (Australia). • 2020 departure: February 27. 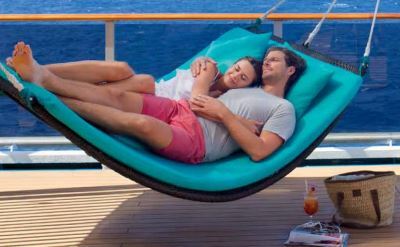 17-night cruise from Australia to Hawaii. One-way from Sydney (Australia) to Honolulu (Hawaii). Visit Noumea, Nuku'alofa, Tahiti, Moorea and Bora Bora. • 2020 departure: March 24. • 2020 departure: May 7. • 2020 departure: June 5. 10-night Great Barrier Reef cruise. Round-trip from Sydney (Australia) to Brisbane (Australia), Airlie Beach (Australia), Cairns (Australia), Port Douglas (Australia) and Willis Island (Australia). • 2020 departure: July 20. 9-night Great Barrier Reef cruise. Round-trip from Sydney (Australia) to Brisbane (Australia), Airlie Beach (Australia), Cairns (Australia) and Willis Island (Australia). • 2020 departure: September 8. 19-night cruise from Hawaii to Australia. One-way from Honolulu (Hawaii) to Brisbane (Australia). Visit Maui, Tahiti, Moorea, Bora Bora, Nuku'alofa and Mystery Island. • 2020 departure: October 6. 4-night Great Barrier Reef cruise. Round-trip from Brisbane (Australia) to Airlie Beach (Australia). • 2020 departure: December 6. 7-night Great Barrier Reef cruise. Round-trip from Brisbane (Australia) to Airlie Beach (Australia), Cairns (Australia) and Willis Island (Australia).